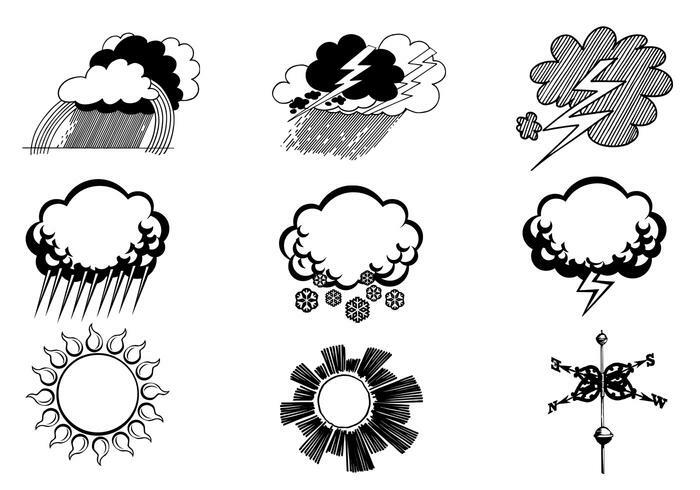 Hand Drawn Weather Brush Symbol Pack - Free Photoshop Brushes at Brusheezy! Whether it's rainy or the sun is shining all day in your neighborhood, you'll love these new Hand Drawn Weather Brush Symbols. Add a sun burst weather brush to your work or a comic style bolt of lightning brush! Included in this weather brush symbol pack are snow brushes, cloud brushes, rainy and sunny brushes, and even a wind vane brush. Head over to Vecteezy for the vector pack and download the <a href="http://www.vecteezy.com/nature/54443-hand-drawn-weather-vector-symbol-pack/premium">Weather Vector Pack</a>!